Ahoy matey’s! How arrr ye celebrating “National Talk Like a Pirate Day?” Will ye be a good ol’ seadog and pillage and plunder? Arrrgh ye scallywags, or will ye walk the plank? Well, blow me down! 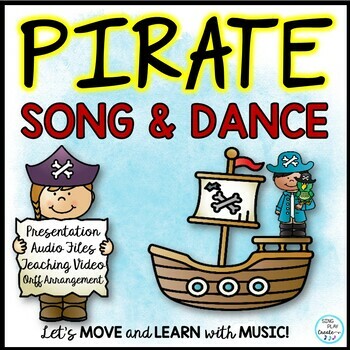 I’ve got some great music lesson treasures I’ve looted from some of my favorite music teacher friends and some freebies for you to use in your classroom, savvy? 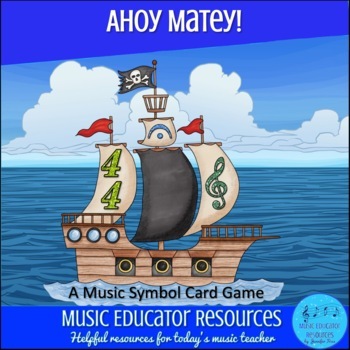 It’s the purrrrfect way to celebrate with these “National Talk Like a Pirate Day” music education treasures. You may want to have students learn some pirate vocabulary! Here’s a fun video on how to speak pirate. There be a great site with a PIRATE WORD LIST and PIRATE FACTS AND INFO avast! For the lassies and laddies you’ll find “Jake and the Never Land Pirates-talk like a pirate!” more appropriate. They be authentic pirate mateys! Ye and yer matey’s will be wanting to chant and sing all day! And ye regular classroom teachers will want to join in the fun and read the chants and write one too! 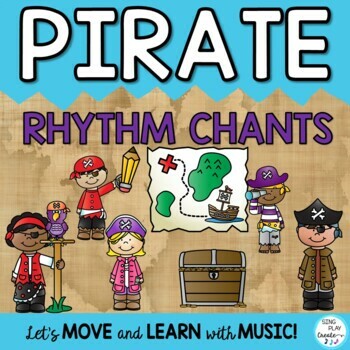 Pirate Chants and Activities for K-6 students. 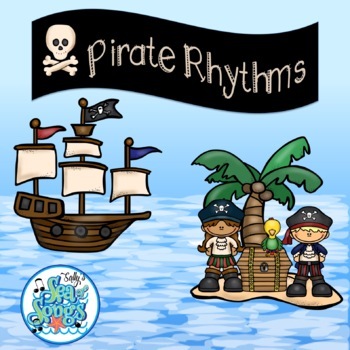 Music and Classroom Teachers will love the chants and printables for writing and rhythm activities to last the whole week long. (This here be a paid resource). It’s a pirate’s life fer me, matey’s and all I’ll be doing is dancing and singing this here tune. 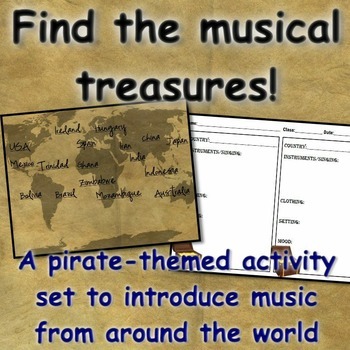 This here set of treasures is the perfect way to give students an overview of music from all around the world, whether as an introduction or as a capstone lesson. The set includes PowerPoint slides with links to videos showing authentic musical performances from 17 different countries. In case your laddies and lassies want to join the crew, ye might inform them about PIRATE SHIP PARTS, and the great Jolly Roger! 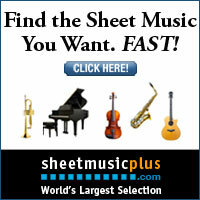 There be musical treasure abounding here! Ahoy! 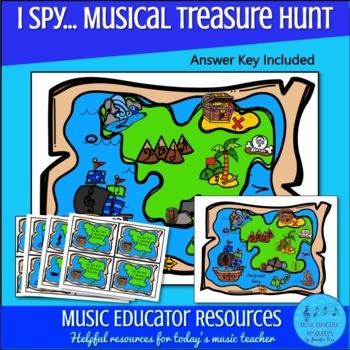 Students will love searching for 24 musical rhythms and symbols “I Spy” style. You can use this with individual students as a review or you use in a class setting dividing into teams. An answer key is included. Me matey Pirates love a good yarn! 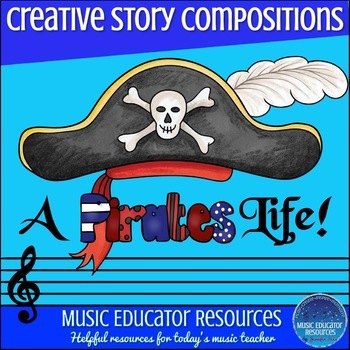 Why not have them compose “A Pirates Life” Creative Story Composition? Me mateys and I always love a good game. So will your students! 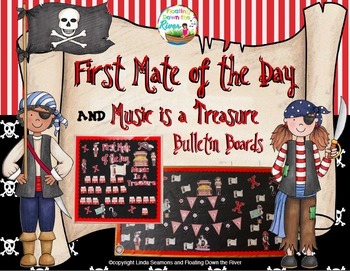 Before ye drink too much grog ye might want to take a look at decorating your music room pirate style with a music themes bulletin board and banner set. Take it from me, an Old Salt, there be pieces of eight below, savvy? 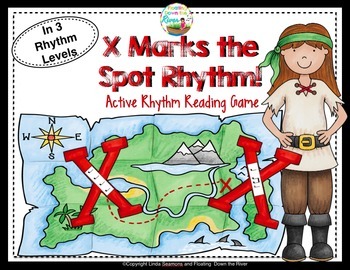 You can have students play this rhythm hunting game. 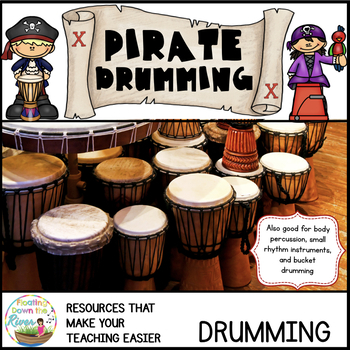 Bring out the drums and pound away! If ye be a landlubber then it’ll be no salmagundi fer ye at dinner tonight! 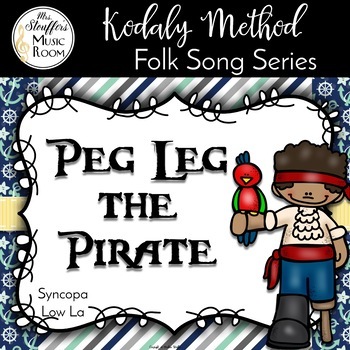 You’ll be swabbing the deck and practicing yer Pirate Rhythms! Now heave ho and put some muscle in it before I get the hempen halter! Ye’ll be writin’ yer pirate chants down fer yer homework tonight! Here be more treasure! Pirate adventures! Avast and Weigh anchor Hoist the mizzen!! 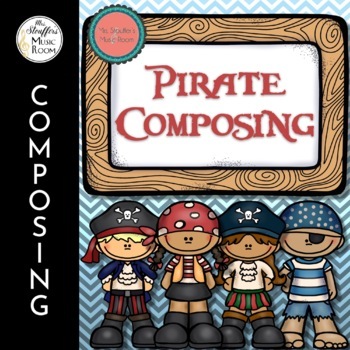 It’s Talk Like a Pirate day to be sure and now ye are ready to commandeer the enemy! 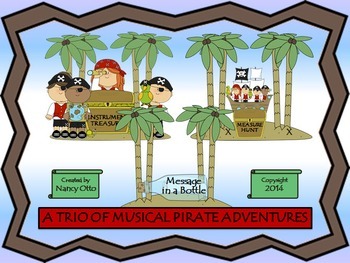 If you liked this post, be sure to share it with yer mateys on social media!